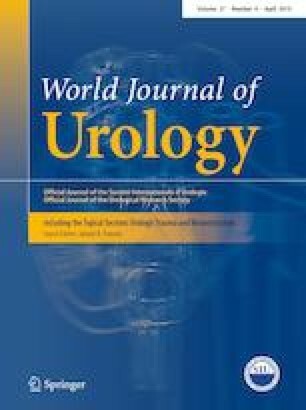 This study aims to analyze patient demographics, hospital characteristics, and clinical risk factors which predict penile prosthesis removal. We also examine costs of penile prosthesis removal and trends in inflatable versus non-inflatable penile prostheses implantation in the USA from 2003 to 2015. Cross-sectional analysis from Premier Perspective Database was completed using data from 2003 to 2015. We compared the relative proportion of inflatable versus non-inflatable penile prostheses implanted. We separated the prosthesis removal group based on indication for removal—Group 1 (infection), Group 2 (mechanical complication), and Group 3 (all explants). All groups were compared to a control group of patients with penile implants who were never subsequently explanted. Multivariate analysis was performed to analyze patient and hospital factors which predicted removal. Cost comparison was performed between the explant groups. There were 5085 penile prostheses implanted with a stable relative proportion of inflatable versus non-inflatable prosthesis over the 13-year study period. There were 3317 explantations. Patient factors associated with prosthesis removal were non-black race, Charlson Comorbidity Index, diabetes, and HIV status. Hospital factors associated with removal included non-teaching status, hospital region, year of removal, and annual surgeon volume. Median hospitalization costs of all explantations were $10,878. Explantations due to infection cost $11,252 versus $8602 for mechanical complications. This large population-based study demonstrates a stable trend in inflatable versus non-inflatable prosthesis implantation. We also identify patient and hospital factors that predict penile prosthesis removal which has clinical utility for patient risk stratification and counseling. KL: protocol/project development, data management, data analysis, manuscript writing/editing. ERB: manuscript writing/editing. SLC: protocol/project development. JJL: protocol/project development, data collection. BIC: data collection, data management. YW: data analysis. JRE: protocol/project development, manuscript writing/editing. No individual participants were included in this study. Data from this study was obtained retrospectively from a database without patient identifiers.